Looking to complete your Black Panther collection? Well, then the 1/6th scale collectible figure of Shuri from the Black Panther and the 1/6th Wakanda Throne, both from Hot Toys, are definitely two collectibles you want in your possession. 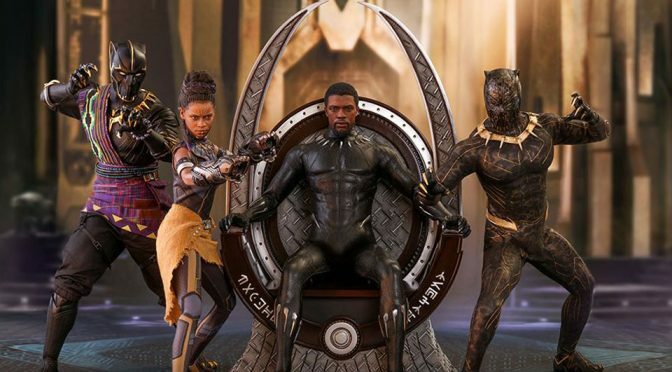 The Shuri collectible figure likeness to the actress, Letitia Wright, is incredible and the throne completes King T’Challa’s setup. 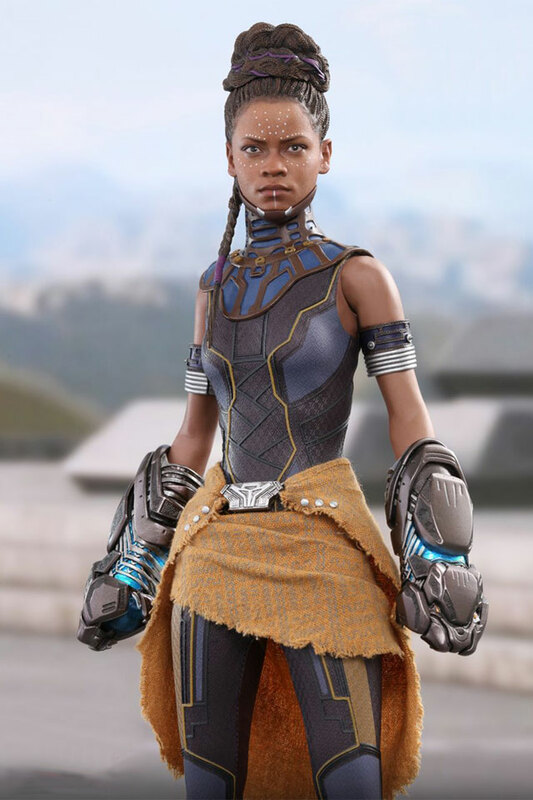 Shuri collectible figure features a newly developed head sculpt with detailed hair sculpture, a newly developed body, an elaborate new battle suit and neck ring based on the movie’s, a Wakanda pattern sash, 28 points of articulations, a full range of weapons, including a pair of LED light up Vibranium Gauntlets, a spear, and a Kimoyo Beads bracelet. 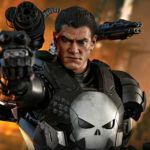 The package is consummated by a movie-themed figure stand, which appears to be a thing with Hot Toys figure these days. 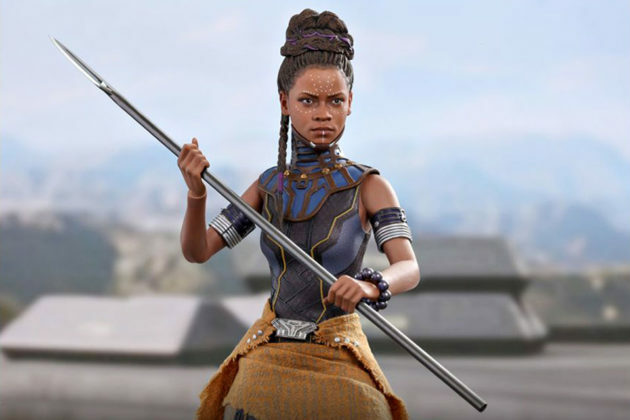 Hot Toys Shuri 1/6th scale collectible figure is expected to ship sometime in Q3/Q4 2019. Already, you can secure one by pre-ordering through major retailers like Sideshow for $228. As for the throne, it needs little to no introduction. It is a movie-accurate, intricately detailed seat that Erik Killmonger drooled over and one that is rightfully T’Challa’s. 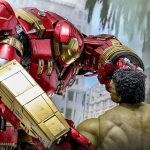 It measures an impressive 32.5 cm tall, 19 cm wide – a size that would allow it to accommodate the1/6th figure of Black Panther, or Killmonger or any other figure ambitious enough to seat on it. 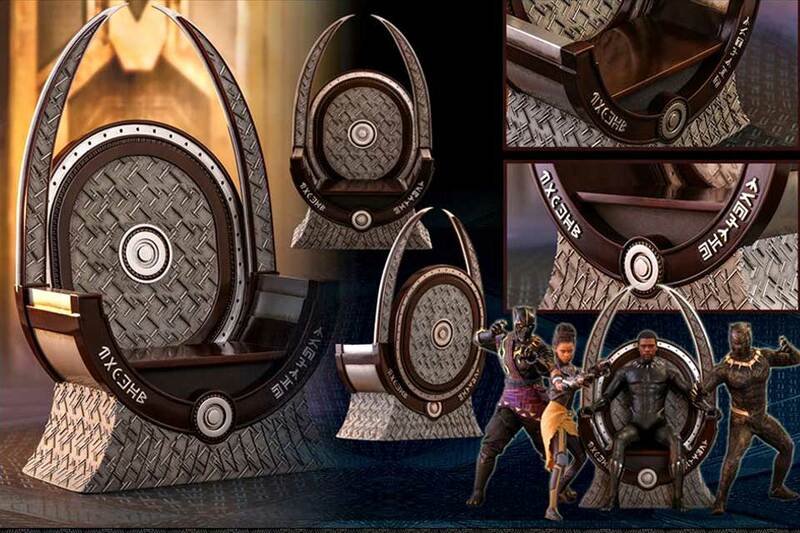 Wakanda Throne is also open for pre-order, priced at $110 a pop. 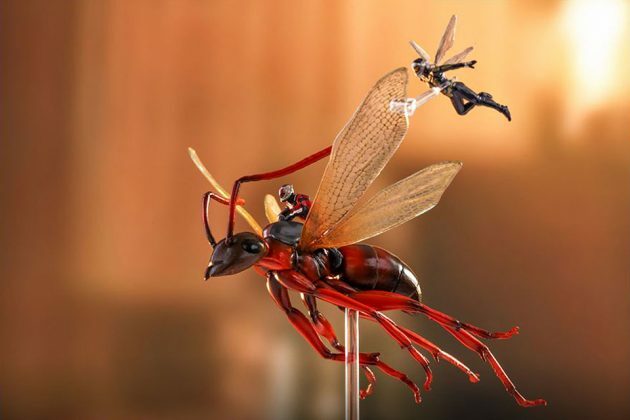 Other recent releases from Hot Toys that you might be interested include Ant-Man on Flying Ant and The Wasp Miniature Collectible Set, a die cast version of the iconic Iron Man Mark VII 1/6th collectible figure straight out of The Avengers movie, 1/6th scale accessories collectible set for Avengers: Infinity War Iron Man Mark L (you know, the nano-tech equipped suit? 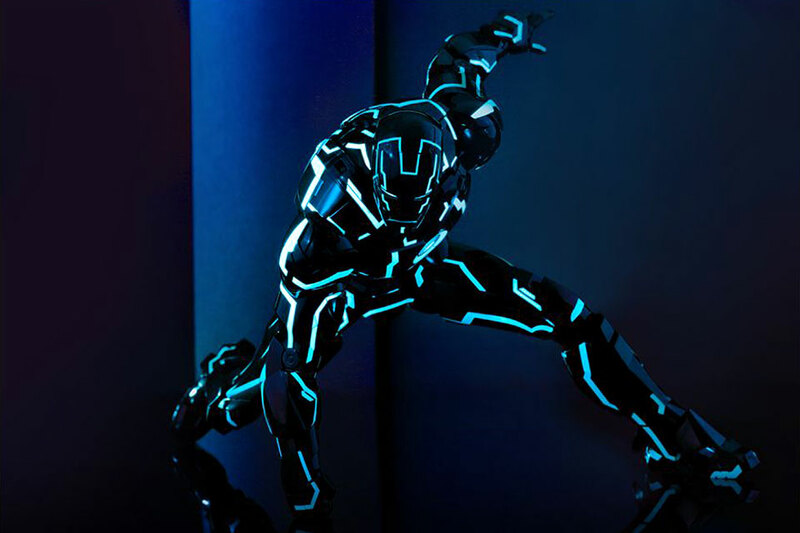 ), and a very Tronish Iron Man 2 Neon Tech Iron Man Mark IV 1/6th scale collectible figure. The 2018 Toy Fair Exclusive-Hot Toys Iron Man 2 Neon Tech 1/6th Scale features phenomenal details, a die cast construction in movie-accurate proportion, as well as specialized LED light, LED light-up functions on the eyes, palms, lower chest and forearms. 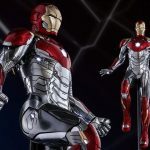 The Avengers: Infinity War Iron Man Neon Tech is a 2018 Toy Fair Exclusive, first available on-shelf at Hot Toys’ Flagship store in Shanghai Disneytown Lakeshore and Hot Toys’ Booth B-13 at CCG EXPO 2018. The Ant-Man on Flying Ant and The Wasp miniature collectible set is a hyper realistic diorama is a special promotional set. 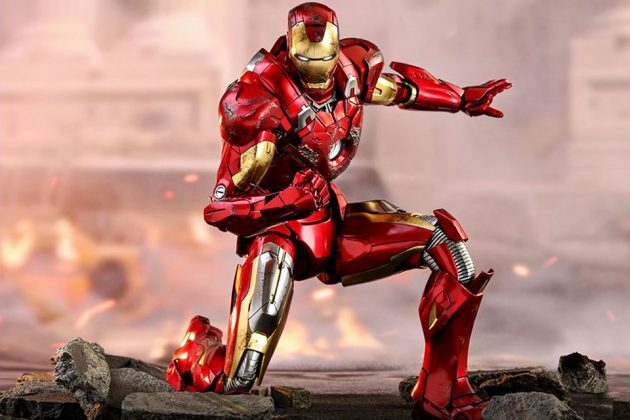 If you want one, you have to get in touch with your local Hot Toys official distributor for pre-order details (Sideshow is accepting pre-order in exchange for $48, btw). 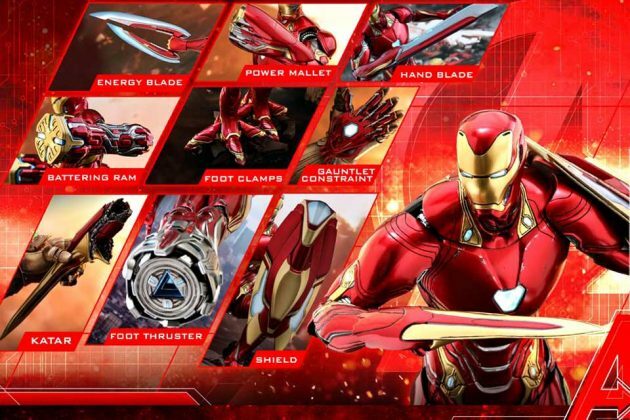 As for the die cast Iron Man Mark VII, it will be out sometime in Q4 2019-Q1, 2020 (priced at a cool $433), and the Mark L accessories set goes for $243 (also can be pre-ordered). 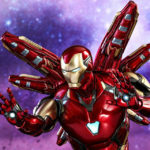 All images courtesy of Hot Toys.